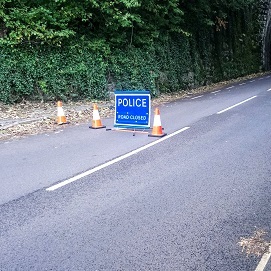 Trelliever Road closed by police due to fallen tree. A tree on Treliever Road near Tremough campus has fallen due to strong winds and is currently being held up by a power line. 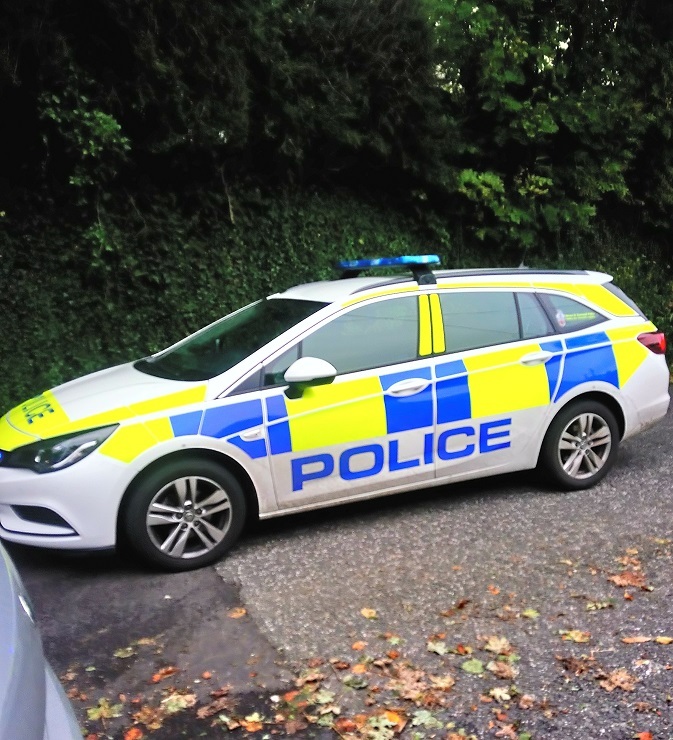 Police have warned that the operation to remove the tree could take several hours, asking students to arrange alternative routes into town and keep pedestrian traffic to a minimum. The obstruction has occurred outside Blowing House garage, blocking cars and busses from the road. 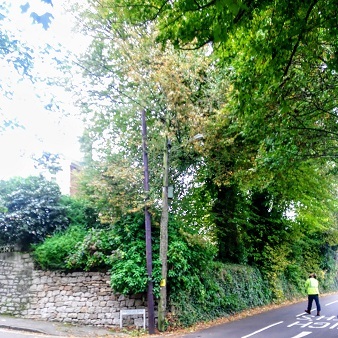 The tree is being propped up by the power line beside the road, posing a two-pronged hazard of falling branches and danger of electric shock for traffic and pedestrians below. An officer at the scene has warned that while pedestrians between campus and town will not be stopped, large numbers of walkers could prolong the operation. Students have been asked to find an alternative route where possible. A Cornwall Council worker at the scene has warned that other travel plans, such as the U1 and U2 bus services, will also be disrupted. For the duration of the operation, buses will likely be diverted to a route which does not include Penryn town centre.